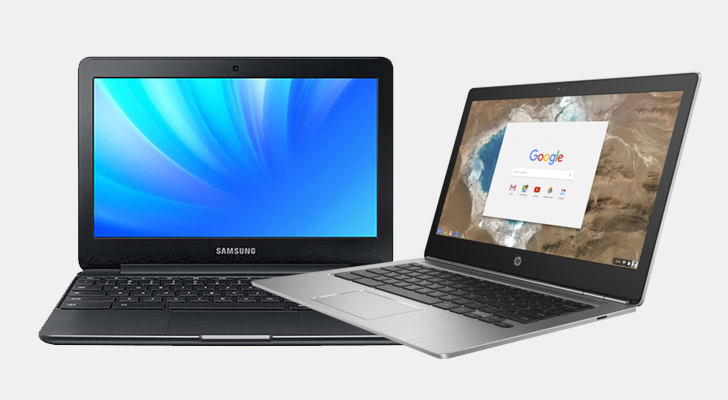 For reasons unknown to me, most Chromebooks larger than 13 inches usually have extremely low-end hardware. 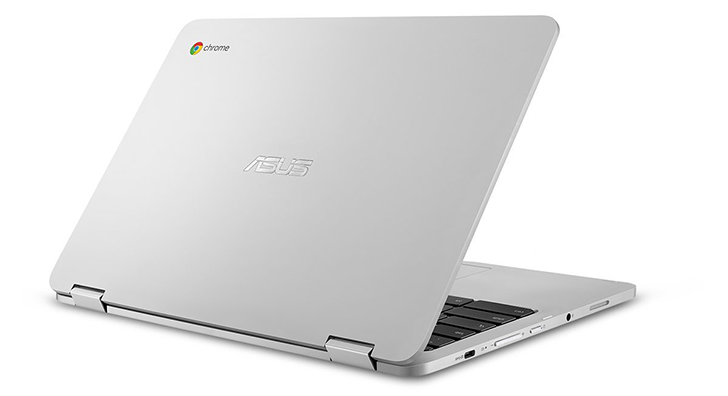 The 14-inch Asus Chromebook C423 has a dreadful Intel Celeron N3350 processor, and the Acer Chromebook 15 has a slightly better Pentium N4200 CPU. 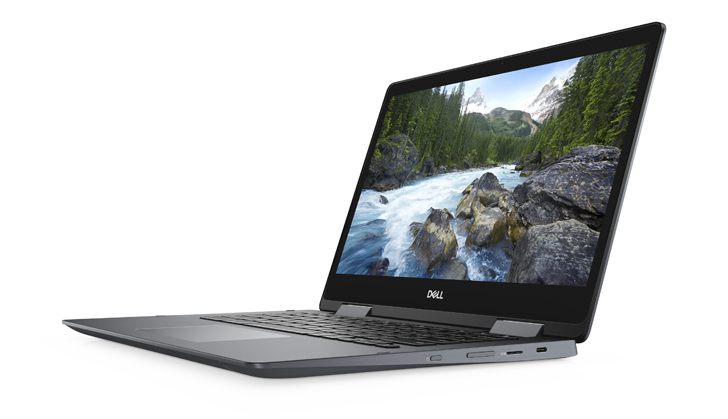 If you've been waiting for a big Chromebook with decent hardware, Dell might have the laptop for you. 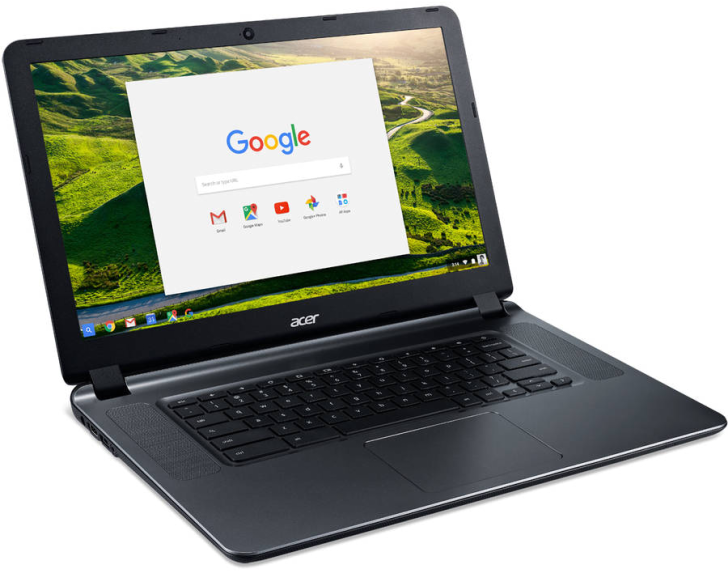 The 'Inspiron Chromebook 14 2-in-1' is pricier than most other large Chrome OS laptops, with an MSRP of $599, but it also has the hardware to justify that price — a latest-gen Intel Core i3 processor, a 14-inch 1080p IPS screen, 4GB of memory, and a backlit keyboard. When I see the name "Dell," I always think: practical, reliable, affordable, and probably looks like a tank. 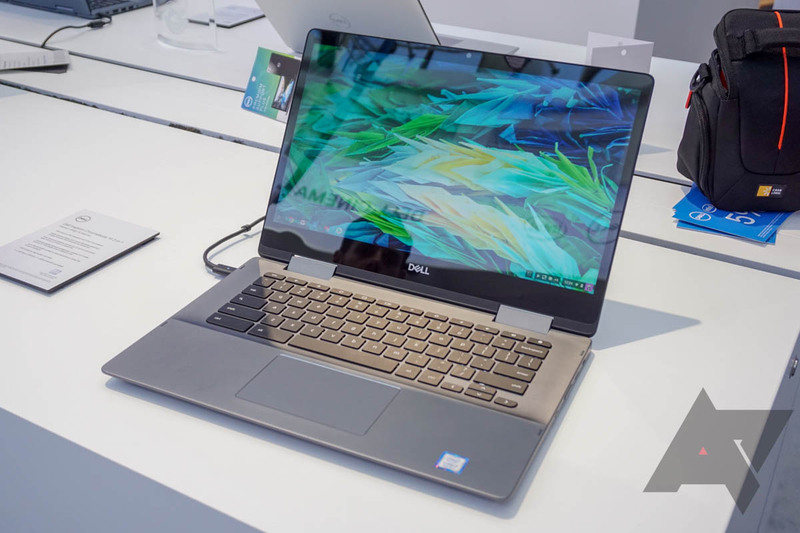 This new Dell Inspiron Chromebook, however, aims to change that just a little bit by adding premium features to the company's line-up of Chrome OS laptops. Dell's deals today continue. In addition to the aforementioned Dropbox subscription, right now you can pick up a DJI Mavic Pro for $999, and get a free $200 Dell eGift Card. 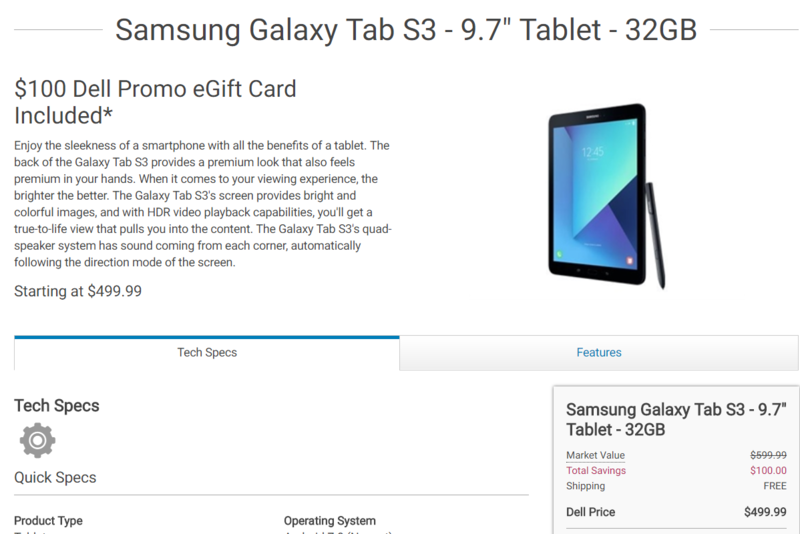 If drones aren't your thing and you've been waiting for Samsung's Galaxy Tab S3 to fall in price, you can also order one for $499.99 and get a $100 Dell eGift card with your purchase. 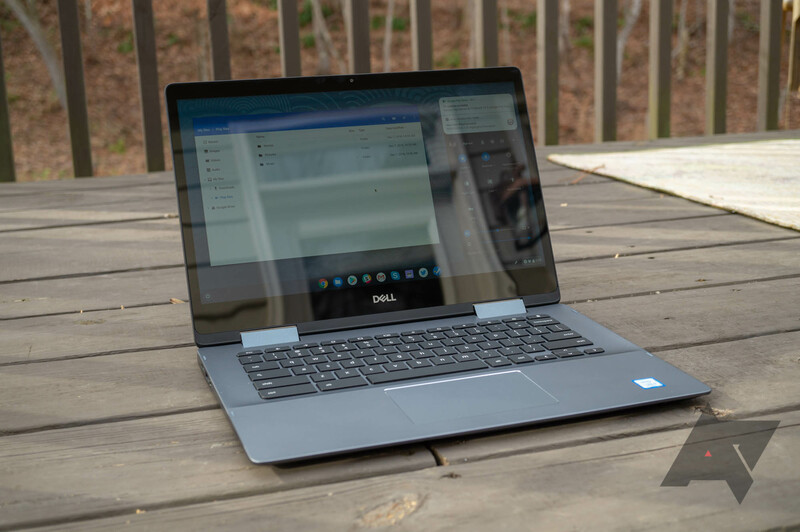 After dabbling in Android tablets for years, Dell is finally throwing in the towel on Google's mobile OS. The company won't be making any more Android tablets, and it's ending update support for the Venue tablets that already exist. 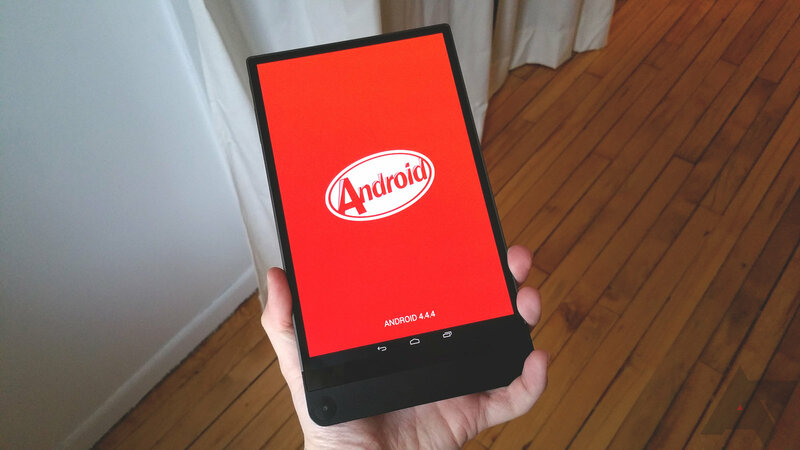 That's a bummer for anyone holding out hope that the Venue 8 would make it to Android 6.0. Last year Dell introduced the Venue 8 7000 series (AKA the 7840), one of the most unique tablets on the market. 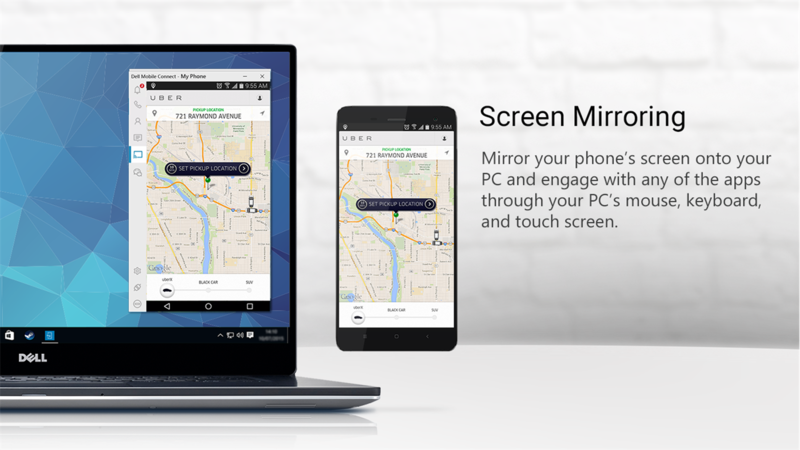 Its super-slim case and bezels make it look more than a little striking, and the Intel RealSense cameras on the back are something that no other Android device can boast. The design isn't without its problems, as mentioned in Ryan Whitwam's review - one of the biggest pitfalls of the product was the high price for an 8-inch device, which launched at $400 for the 16GB base model. If you've been admiring the design but balking at the price, the Venue 8 7000 now has a steep discount.